What’s on for Melbourne Car-Lovers? Car enthusiasts of Melbourne, this might be a good read for you. We know not everyone is into the whole scenic driving for hours on end thing, so we collected a few inner city options for car people. Even if you’re selling you’re car in Melbourne, there might be a few useful tidbits in here, or at least things you can aspire to if you’ve got your eyes on a new one. If you read a recent post we wrote on car events in Sydney LINK, you might have noticed the “cars for a cause” day that was put on as a car show to support mental illness organisations. 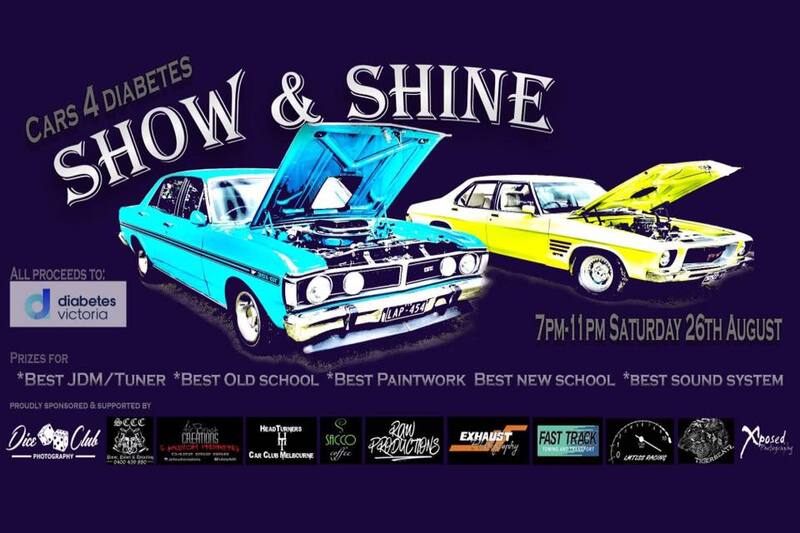 On a similar vein, Melbourne hosts regular car shows on the corner of Evans Street and Station Street in Sunbury to raise funds for Diabetes Victoria. They are usually held on Saturday evenings and are open to kids and families and anyone with or without a car who is interested. This isn’t the die-hard kind of car show you may have heard about, but there’s nothing wrong with enjoying some food and music and showing off a new vehicle. Rather than walking around looking at other people’s cars, you might enjoy sitting inside your own car and taking a bit of a time travel adventure. Hop back into 1956 when the Lunar Dandenong Drive-in theatre opened with a single wooden-frame screen and a minuscule 650 car capacity. Otherwise, just stay in the present day and drive up yourself, because it still exists and is going strong. In fact, it’s the largest drive-in in the whole country and now has new release viewings on four massive state-of-the-art screen and hot Aussie meals to enjoy in your own cozy vehicle. You can bring a whole carload of friends for only $30 and it’s open every night of the week. 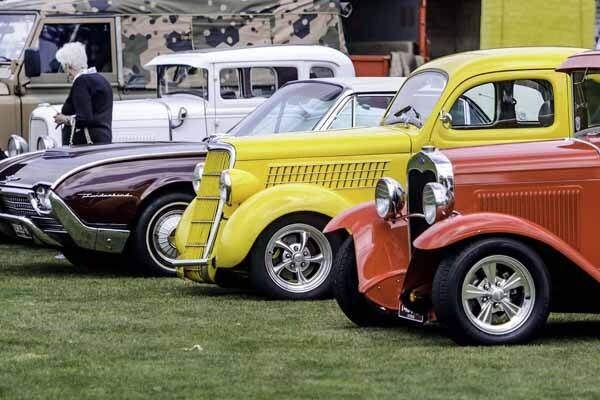 (If you do sell your car in Melbourne, they even have an outdoor seating area for walk-ins on balmy summer nights).In November, they host their own car show with a classic car movie backdrop, just in case you are the car-show junkie after all. Early bird movie goers at the Lunar Drive-in cinema in Dandenong. Anyone selling a car, or really just those who just plan on owning a car, this next spot may be of particular interest. You Do It Auto is a 1800 square meter warehouse that is open 7 days a week for car owners to come and use tools, garage space, and expert knowledge to fix their own vehicles, change their own oils or tyres, and still save money compared to pricey mechanics! Of course, if you’re really lost in the car world, you can choose to pay extra and have the mechanic do it with you. Over time, maybe you’ll learn enough that you can play with the big guns in the open warehouse. You’ll find these friendly guys on Ganton Court in Williamstown, Victoria. A session with the mechanics at You Do It auto in Williamstown, Melbourne. On a similar note to the above, but ladies only for this one, there are gracious mechanic angels who hold workshops and seminars for women so you can become the car buff you’ve always dreamed of being. Then you can head back to the You Do It garage and show them what you’re made of. GoodYear Auto Care calls it “Women With Drive” and it’s a free community gathering with other local women from the Melbourne area. You may not walk out with a career as a mechanic, but you’ll know what to look for on the underside of your car and under the hood. If you feel like making a donation, the proceeds go towards the Ovarian Cancer Research Foundation and their quest for developing an early detection test and save lives. Local women gathering at the Women With Drive workshop. If all this car talk has gotten you excited about driving again, maybe you’ll want to check out some of the scenic drives in Melbourne, here. Or if you’re heading interstate, see the views outside of Sydney, Brisbane, or Perth! Who knows, you might get a chance to change a tyre!